Some times, some things, even things which are famous and about which you’ve heard too much, exceed expectations. 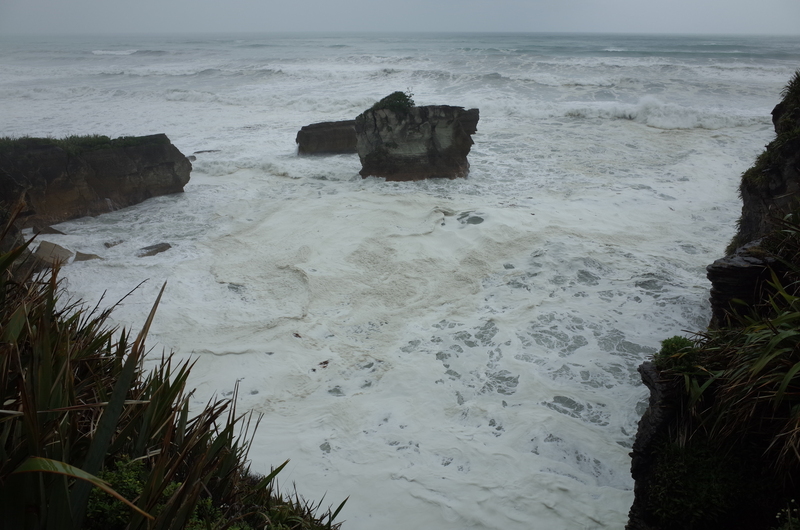 This happened numerous times in New Zealand, but no case was more clear cut than the pancake rocks of Punakaiki. The west coast between Westport and Greymouth is rugged, and the road which goes down it will make you ill. Partway down is one more in the series of steep headlands between beaches. 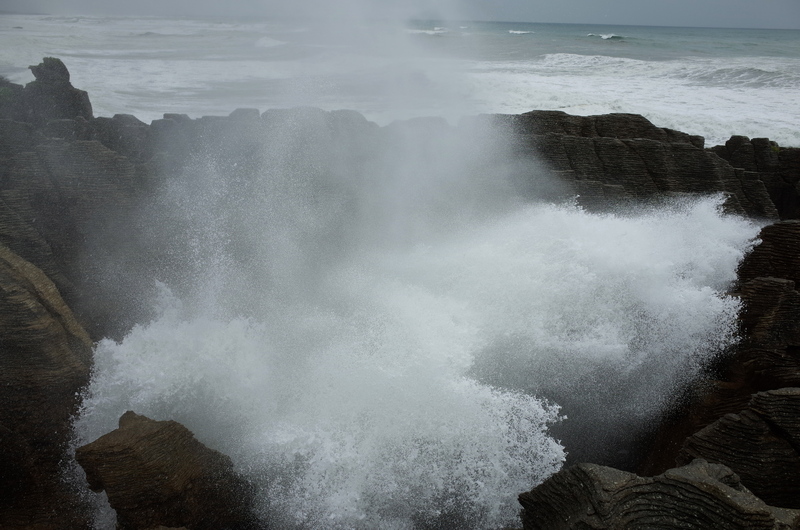 This is Punakaiki. Waves from the Tasman Sea smack into limestone cliffs, and have over time carved canyons, caves, crevices, and holes into the fantastic compact limestone. Under M’s impetus we put the guidebooks to good use, and arrived right at high tide during a windy, rainy day. The spectacle cannot be well described. It was almost as interesting to close your eyes and listen as it was to watch. Hidden impacts precipitated sucking exhalations, after which came regular but unpredictable explosions up through gaps in the cliffs. 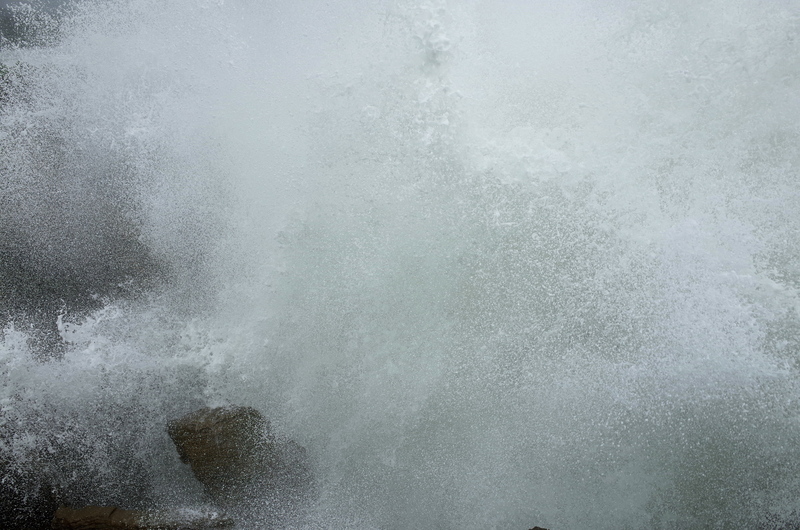 On one occasion I had to sprint back to keep my camera reasonably dry. Thankfully, the tide went back out and the impacts became less enthralling, and we were able to get a coffee at the cafe before continuing south.